I am adoring pops of color when it comes to accessorizing. It is the perfect way to spice up an otherwise neutral outfit. I am not one to wear brighter clothing so I always fall back on my accessories. With spring just around the corner bright colors are popping up all over. So tell me would you rather accessorize with bright colors or wear the bright and bold hues? So fun! I love a good pop of color. I have been wanting one of those wrap around TB bracelets for a while now. Love 'em! That top bag would brighten any day! love all these fun pieces! i'm obsessed with the new kate spade spring items! if only my wallet was a wee bit fuller! Love the yellow ring!! I'm a cocktail ring person for sure. Love that purse and the TB cuff! That pink bag is amazing! I loveeeeeeeee that purse. I accentuate wtih bright colors, and a black purse. 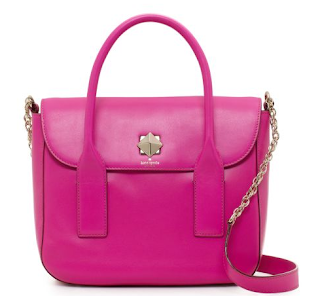 I love that purse, but it's hot pink and $400, so I'd invest in a cheaper bright colored bag instead. Great picks. I love bright colors or spring. Coral is my favorite. Love the bag!!!! It kind of reminds me of these. 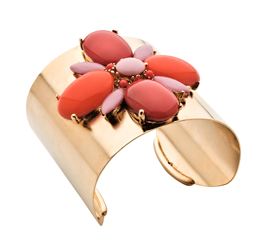 I much prefer to accessorise with colour than wear really bold colours and the coral stone cuff is gorgeous - love those shades especially in summer. I love pops of colors with accessories and do this all the time to add a little more flash to my neutrals. Sometimes I love to wear bright colors, but I also love accessorizing with them! 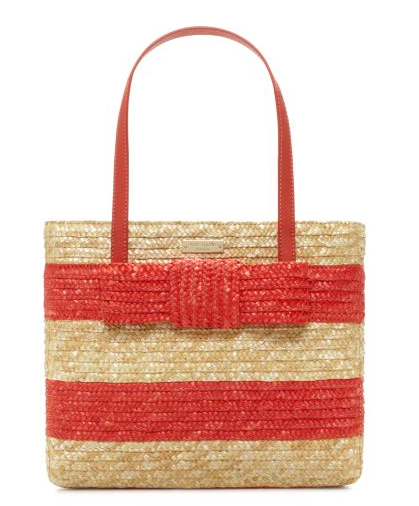 LOVE that Kate Spade bag! I am loving all these selections! I have that tory burch bracelet in tangerine, love it :) So which one are you getting??? that bag needs to make its way into my closet. 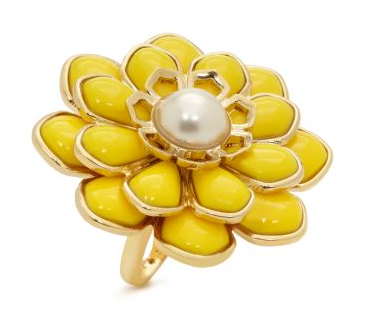 That yellow ring is stunning! Love color too - it's a great way to brighten an outfit! I would use every single one of those accessories. I love them! I'm all for the pop of color since I wear pretty neutral colors. Color all over scares me. haha but little hints here and there are right up my alley! I love bright colors, but as far as my wardrobe goes I'm much more into earthy tone. 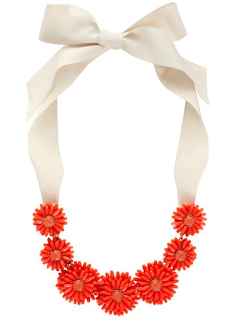 I do love that Kate Spade necklace, too bad it is $298 eeek! Could I have that hot pink purse please? I love bold accessories that really make the outfit pop! That cuff and the leather wrap bracelets are fantastic! I am loving that necklace! It is just darling! I have been trying to add in more pops of color through accessories. I agree. This is an excellent fashion tip. I love everything pictured. I really love the shade of that last set or bracelets. Gorgeous! Skinny cuffs are all the rage these days. This one is adorable! Gahhhhgeous pieces! I am boring with my clothes but accessorizing with color is fun! I love bright colors--my closet is seriously lacking in black and instead is filled with pinks, blues, greens, and more! I'm trying to fill my very typical New Yorker (aka all black) closet with more pops of color lately, and I love all of these accessories. Very funky. I love all the pops of color, but that yellow really stands out! I love all of these items! The colors make me excited for spring. What girl doesn't love flowers?